SELECT ALL or Click checkboxes below to select articles you wish to print. Use your browser's Refresh Button to deselect all. 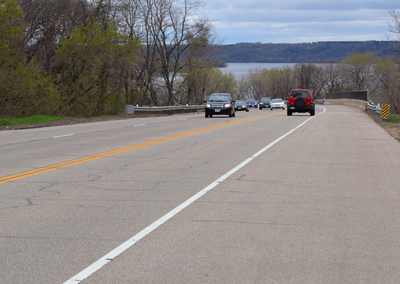 The Asphalt Pavement Alliance awarded a 2013 Perpetual Pavement Award in April to MnDOT for Hwy 95 from milepost 105 to 110 near Bayport in Washington County. This is the 12th time that MnDOT won a Perpetual Pavement award, and it is the only state DOT to receive this award every year since 2002. To qualify for this award, a pavement must be at least 35 years old and never had a structural failure. The average interval between resurfacing of each winning pavement must be no less than 12 years. The pavement must demonstrate the characteristics expected from long-life asphalt pavements: excellence in design, quality in construction and value to the traveling public. Engineers at the National Center for Asphalt Technology evaluated the nominations and validated the winners. Initial construction of the award-winning portion of Hwy 95 began in 1960, with final paving taking place in 1961. In some areas, the in-place material was removed and replaced with a granular material to improve drainage in the road’s structure. To build the two-lane road, contractors placed and compacted 12 inches of granular material, followed by a 7.5-inch layer of granular material, a 1.5-inch asphalt base and three inches of asphalt pavement. The five-mile stretch of pavement received an asphalt overlay in 1992 and a two-inch mill and fill in 2000. Its average daily traffic count is 13,500 vehicles, and it has carried approximately two million equivalent single axle loads since it was built. As a winner of a 2013 Perpetual Award, MnDOT received an engraved crystal obelisk, and its name and project will be added to a permanent plaque that is kept at NCAT. The Asphalt Pavement Alliance is a coalition of the National Asphalt Pavement Association, the Asphalt Institute and the state asphalt pavement associations. The Asphalt Pavement Alliance's mission is to establish asphalt as the preferred choice for quality, performance and the environment. A ceremony at St. Paul’s Union Depot May 7 celebrated the return of passenger rail service to downtown St. Paul. Amtrak’s Empire Builder arrived with passengers from Chicago later that evening. 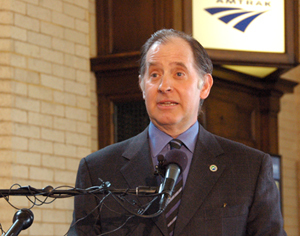 Commissioner Charlie Zelle was one of the speakers at the event, along with Karen Hedlund, Federal Railroad Administration deputy administrator; Chris Coleman, St. Paul mayor; Rafael Ortega, Ramsey County commissioner and Ramsey County Regional Rail Authority chair; and Joe Boardman, Amtrak president. The Union Depot reopened as a multimodal transportation hub in 2012. The last passenger train left Union Depot in 1971, and in 1974, the building was placed on the National Register of Historic Places. In 2013, the tracks were placed along the new passenger train platform. Amtrak’s Empire Builder will depart for Chicago in the morning and leave for Portland and Seattle in the evenings. 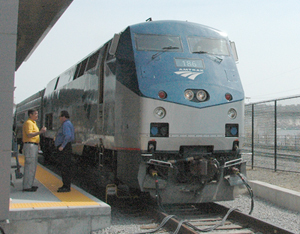 Schedules can be found on Amtrak’s website. In addition to Amtrak services, Metro Transit’s Green Line will provide light rail beginning in June. The depot also offers transportation services from Jefferson Lines, Greyhound, megabus.com, Metro Transit and Minnesota Valley Transit Authority buses. With the Union Depot's refurbishment and the arrival of more transit services such as Amtrak, the Green Line and additional bus and passenger rail, transportation options will continue to spur interest in downtown St. Paul redevelopment and provide residents with greater transportation options. 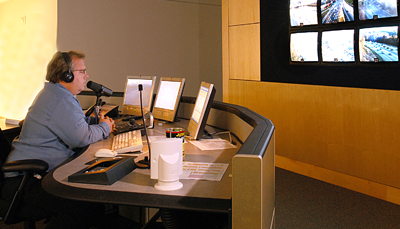 The Regional Transportation Management Center and KBEM radio celebrated 25 years in traffic broadcasting in April. In 1989, KBEM was a small jazz radio station owned by the Minneapolis Public Schools that wanted to grow its listening audience. MnDOT was developing a traffic management program for the Twin Cities metro freeway system and wanted to study the value of getting real-time information to the traveling public. A two-year pilot project was developed. KBEM hired Mike Mauren, a play-by-play sports broadcaster, to work in MnDOT’s RTMC to broadcast real-time traffic information to KBEM listeners. Twenty-five years and 240,000 traffic reports later, the partnership between MnDOT and KBEM is still going and Mauren is still doing the traffic reports. Mauren gives 40 traffic reports daily or about 800 each month. Don Zenanko is a back-up for Mauren and he has been part of the KBEM team for 21 years. Zenanko’s full-time job is dispatching for Traffic Operations at the RTMC. “The Twin Cities has some excellent traffic reporters, but being good takes work and lots of hands-on experience,” said Zenanko. Twenty-five years ago, a crash might have meant a 10-mile backup on the freeway, with no information available for the motorists waiting for the crash to clear. Today, with technology and information available practically as it happens, a backup can be kept to a few miles, partly because informed drivers are able to take other routes. The RTMC is now a state-of-the-art facility that includes more than 600 cameras, congestion maps, traffic apps and overhead signs to name just some of the tools used. However, traffic management, like everything else, changes. Twenty five years ago, radio was almost the only tool to disseminate traveler information, but now there are dynamic message signs throughout the Twin Cities Metro Area, 511, KBEM, smart phone apps, iPads and in-car systems that inform drivers. One of MnDOT’s Central Shop employees died Sunday, May 11, after a long struggle with ALS, also known as Lou Gehrig’s disease. Mark Fisher, 50, started with the state in 1994 and came to MnDOT in 1999 where he was classified as a heavy equipment service attendant in the Central Office Motor Pool. In 2008, Fisher moved to the Central Shop where he wore many hats, which included supporting the M5 Fleet Management system and the commercial and in-house fuel. Carlson said Fisher was nearly as fanatical about his job as he was his beloved NASCAR and the Minnesota Wild. 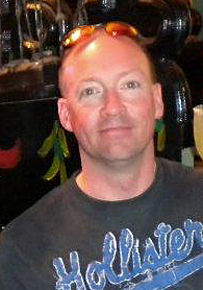 “He wasn’t shy about sharing his feelings for all three with his friends at Central Shop,” said Carlson. Fisher is survived by his wife of 28 years, Kimberly; children, Nicolle and Jeremiah; mother, Jeannine; brother, Mike; and sister, Sandra Whitesell. A memorial service for Fisher is at 11 a.m. Thursday, May 15, at Hodroff-Epstein Memorial Chapel at 126 E. Franklin Ave in Minneapolis. Memorials may be directed to the ALS Association. Minnesota was ranked the second most bicycle-friendly state by the League of American Bicyclists this month. The state has consistently ranked in the top five since 2008. In 2013, the state ranked fourth. “This year’s bicycle friendly state announcement is a great acknowledgement of the dedication and commitment of our many agency partners, advocates and bicyclists from across the state towards making Minnesota a bicycle friendly state,” said Tim Mitchell, bicycle and pedestrian coordinator. Nearly half of Minnesotans rode a bicycle last year, according to the 2012 Omnibus Transportation Survey. The Bicycle Friendly States ranking is based on key indicators, including infrastructure and funding that provide safe places to bike; education and encouragement programs that promote cycling; and passage and enforcement of bicycle-friendly laws that make it safe and comfortable for people of all ages and abilities to ride. Partnerships among several state agencies and local/statewide advocacy groups that are encouraging increased commuter and recreational bicycle use and leading the Safe Routes to School program. MnDOT, the Bicycle Alliance of Minnesota and the Center for Prevention at Blue Cross and Blue Shield of Minnesota published “WALK! BIKE! FUN!” — a comprehensive curriculum with engaging lessons for kids in kindergarten through sixth grade. Through classroom activities and on-the-bike skills practice, instructors can teach young people how to travel safely in their communities. The nationally recognized and bicycle safety education campaign, “Share the Road,” helps improve awareness of bicycle laws for both motorists and bicyclists. Developing the Mississippi River Trail, Minnesota’s first legislatively authorized state bikeway and first U.S. Bicycle Route. The MRT combines existing roads and bike paths to create a continuous bicycle route that closely follows the Mississippi River from its headwaters in Itasca State Park 600 miles through Minnesota to the Iowa border. MnDOT led the effort to create the MRT and has succeeded because of the many partners involved up and down the river. The Pedal Minnesota campaign is designed to encourage more people to bike more often. The core of the campaign is a website, but also includes promotion and public events. The campaign is a collaboration between public and private entities, which has organized three bicycle conferences over the last five years and is planning the PedalMN Bicycle Conference in 2015. Several state agencies, including the departments of Health, Natural Resources, Transportation and Tourism invest in bicycling as an important component of Minnesota’s transportation system. 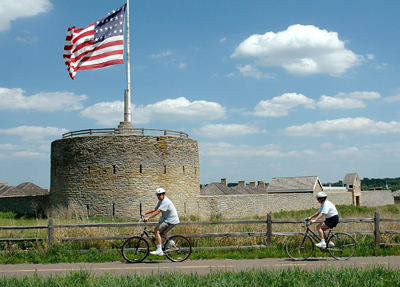 Bicycle tourism has a positive impact on Minnesota’s economy and being physically active can decrease the risk of a variety of diseases such as heart disease and stroke, diabetes, depression and certain types of cancer. Mitchell said the Minnesota Department of Health helped elevate interest in biking in the state. Mitchell said while the ranking is a great achievement, there is work to do. 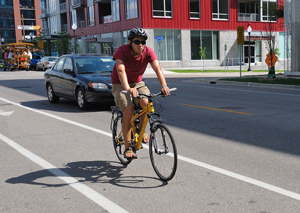 He said the statewide bicycle system plan public workshops in April and May will help MnDOT identify and recommend routes, improve existing facilities in the bike system and address the needs of bicyclists in the state. Share the Road, a bicycle safety education campaign that promotes safe driving, walking and biking behaviors, has an updated look and messaging. Data compiled by MnDOT, the Department of Public Safety and a focus group helped determine which campaign messages to use. 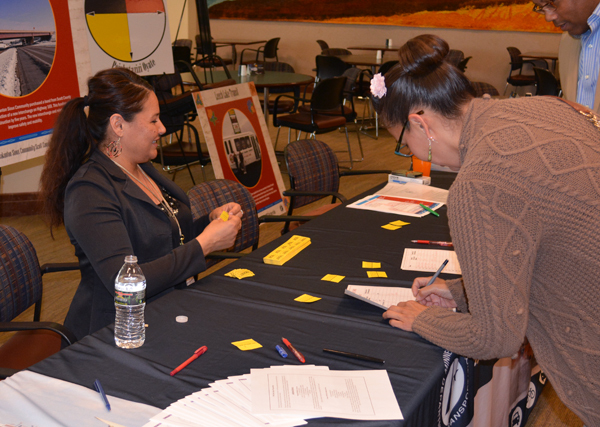 The focus group included representatives from health, transportation, businesses, advocacy organizations, and law enforcement. MnDOT’s online community also provided feedback. Pooler said the updated messaging demonstrates how to engage in respectable behaviors and equally focuses on motorists and bicyclists. The new materials include a new logo, brochures, posters, fact sheet, pocket cards and a bookmark. Pooler said the pocket cards are available in four different languages. Most of these materials can be downloaded at the Share the Road website. The bicycle campaign is one of two Share the Road campaigns. The other one is directed toward pedestrian safety and was launched in 2012. The addition of 39 new electric vehicle charging stations in MnDOT’s downtown Minneapolis parking ramps officially opened May 7. The stations are a joint effort of MnDOT, the city of Minneapolis and the Minnesota Pollution Control Agency. Twenty of the new charging stations are in Ramp A and eight are in Ramp B, where the launch event was held. The others are in the Leamington and Haaf ramps. 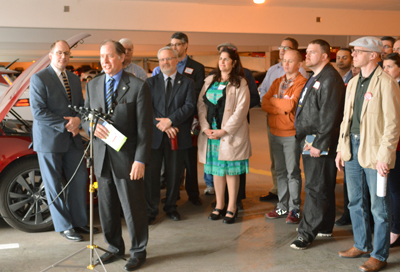 Commissioner Charles Zelle drove one of MnDOT’s electric vehicles to the event and drew a round of applause when he told the group he personally drives an electric vehicle. Nearly 20 electric vehicle owners were at the event with their vehicles. EV enthusiasts and partners shared their stories with the media. Among the cars displayed were a Volt, Leaf and Tesla. One owner said he gets 900 miles to a tank of gas with his dual-powered vehicle. Another owner said he can drive up to 300 miles on one battery charge, which amounts to less than three cents per mile, compared to 10 to 12 cents per mile for a gas-powered vehicle. Electric cars also have fewer moving parts, requiring less maintenance, than gasoline cars. Overall, electric vehicles are four times more efficient than gas-powered vehicles, according to Drive Electric Minnesota. The charging stations in Ramps A and B were installed with a $220,000 grant from the PCA through the Met Council, awarded to MnDOT and the city of Minneapolis. MnDOT contributed a 20 percent match of about $35,000 for the stations in Ramps A and B. MnDOT will also maintain and/or replace the stations as needed. The stations are part of the ChargePoint network, which includes an interactive map for users to find available charging stalls across the country. The map is accessed online or with a smart phone app. Electric vehicle drivers who subscribe to the network can pull into a parking space and plug into any of the open stations. Drivers pay about $3.20 for a full recharge. The electricity rates are 80 cents an hour. A full charge takes about four hours. To guarantee a sustainable energy source, MnDOT and the city of Minneapolis purchased wind credits from Xcel Energy for the charging stations. Proceeds will cover electricity costs, maintenance and fund future charging stalls. Zelle said the charging stations are a nice addition to the ramps, which are a hub of transit, pedestrian and driving options including incentives for carpooling. Also speaking at the event were two Minneapolis city council members and MPCA Commissioner John Linc Stein. Why do drivers make the decisions they do? Katie Fleming, a research analyst in the Office of Traffic, Safety and Technology located in the Regional Transportation Management Center at Waters Edge, is trained to look at drivers from a different perspective. Her work focuses on evaluation research and driver behavior using real-life data and statistical analysis to help the agency understand why roadway users act and react in certain situations. How long have you been trying to figure out Minnesota drivers? I moved to Minnesota and started working at MnDOT in 2009. I was born in California and graduated from California State University with an undergraduate degree in sociology with minor work in cultural anthropology. I then received a master’s degree in sociology from CSU. What is an example of a study that you have done to learn more about driver behavior? One of the driver behavior studies we did was an analysis of results for the High Enforcement of Aggressive Traffic campaign. The Department of Public Safety and the Minnesota State Patrol tightened enforcement on specific corridors that had produced significant crash data. The three-year campaign concentrated on up to five routes per patrol district and had a variable enforcement schedule that rotated every two weeks during a 24-hour schedule. The enforcement data showed that some aggressive drivers, who were stopped during an active patrol, were also driving while impaired and or had outstanding warrants. • Data analyses to identify road segments with high incidents of aggressive driving related crashes as candidates for high enforcement zones. • Ongoing analyses of roadway speeds and citation data inside and outside HEAT enforcement zones. • Market research survey of public attitudes toward aggressive driving behaviors in order to develop messages that are appropriate for intended audiences. What are the practical applications of these studies? The best answer is what Toward Zero Deaths does with our results. The TZD program is a multidisciplinary approach, called the Four E’s: Education, Emergency Medical and Trauma Services, Enforcement and Engineering. We focus on education to change driver behavior, creating systems that make emergency medical services fast, efficient and coordinated, and making sure law enforcement has the tools to ensure compliance with traffic laws while evaluating road design to make travel safer. According to MnDOT's own statistics, the four most significant factors in traffic deaths, taken singly or in combination, are alcohol or chemically impaired drivers, speed, inattention, and not wearing seat belts. All of these factors are within someone's control. What other partners besides the Department of Public Safety do you work with? I work with the University of Minnesota and their Human First Lab and also the U of M’s Center for Transportation Studies. CTS partners with us on studies and the bigger picture of why we do what we do as drivers. It is important that what we are providing as an agency aligns with what people value. Mainly our studies look at outcome and effect and what we need to do to keep people safe in regard to transportation. How do you like Minnesota? I appreciate the variety of experiences available here, from music and theatre, to sports and the outdoors. What do you do when you are not studying Minnesota drivers? I spend time with daughters Emily, Madison and Olivia and my fiancé, James. One of my hobbies is dressage, which is a competitive equestrian Olympic sport. 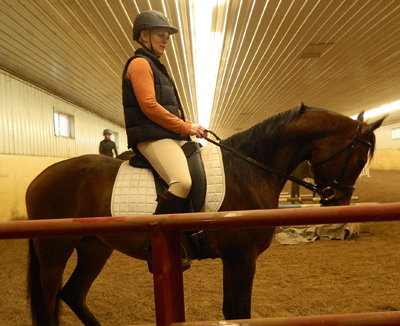 I bought my horse, Belle, a little more than a year ago and we have been training together since then. Do you or a co-worker have an interesting job to share with readers? Click here to send us your ideas, and we’ll contact you for more information. The Construction and Innovative Contracting website has moved to http://ihub/construction/ and mainly provides information to resident engineers, construction office managers and inspectors including meeting minutes, manuals, reports and contacts. New Library Materials are available at www.mndot.gov/library/newlibmat.html. This issue highlights MnDOT Library’s collection on books for career advancement, including job searching, interviewing, and writing a resume or cover letter. New Library Materials is a compilation of new titles and other resources added to the library collection during the previous month. If you would like to be added to the distribution list, contact pamela.m.gonzalez@state.mn.us or 651-366-3749. Previous editions of New Library Materials are archived and available at www.dot.state.mn.us/library/recacq-archive.html. For other information requests, contact the Library at 651-366-3791 or e-mail library.dot@state.mn.us, or send requests via the “Ask a Librarian” web page at www.dot.state.mn.us/library/asklibrarian.html. SELECT ALL or Click checkboxes above to select articles you wish to print.